Tyre defect is one of the common mishaps you can encounter on your travels. And to be able to get your way out of such situation, which even not-quite-handy motorist can do, you need quality tools. 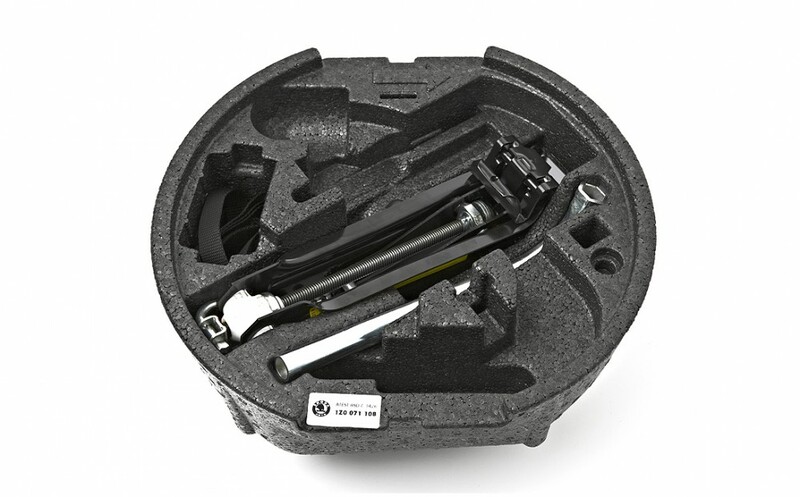 This spare wheel installation kit includes jack, wheel wrench, spare wheel securing nut, spare wheel strap and Styrofoam moulding to hold the tools. The kit can be placed inside the spare wheel, leaving the boot free for luggage.